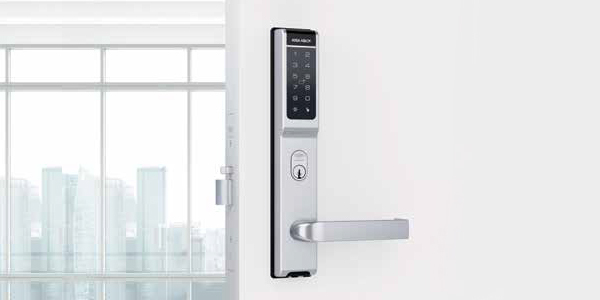 ASSA ABLOY’s Aperio™ technology is leading the evolution of Wireless Door Locks. The new AU100 is a commercial grade digital lockset that offers the durability and quality that is synonymous with ASSA ABLOY. Aperio is well known to provide a cost effective migration to an online electronic access control door. ASSA ABLOY’s AU100 is now retrofitable with Lockwood mortice variants without modification to the mortice whatsoever. 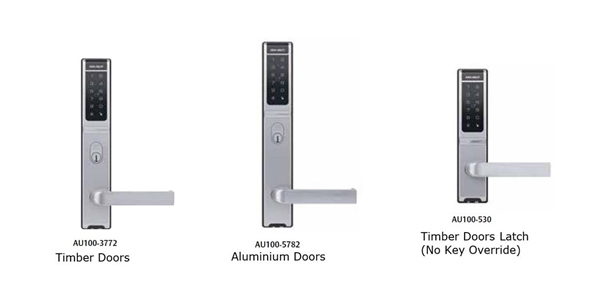 AU100 meets AS4145.2 Standard for Security SL8 and Durability DL8 and the Lever: 77A is compliant with AS1428.1-2009 for Disabled Accessible Compliancy. AU100-3772 and AU100530 has successfully been tested up to 2 hours on fire door assemblies in accordance with Australian Standard AS1905.1 2005 – Part 1: Fire Resistant Door sets. Escape and Return - If a user exits a door in the event of fire, to find a safe passage and once they exit realise the path is indeed not safe, they can return through that original door without having access to that door. Further information and images are available on the ASSA ABLOY website, here.